Network cabling installation is a fundamental requirement for computer networks for just about any type of business, whether it's just for basic email and document services or whether you require fast transfer of large files on a daily basis. At Them Digital we provide a comprehensive range of computer support services in Islington, EC1 and Central London including cable installation services to ensure your business has the right level of computing power and Ethernet cable wiring for your needs. Why Does Choice of Network Data Cabling Matter? The speed and overall capacity of your company's internal network depends on 2 key areas of technology: the processing speed of your computers and the speed of your internal network connections. Having reduced capacity in either of these areas will result in slower transmission speeds, potentially slowing down your business. Having the latest computers and file servers will be undermined by internal data cabling which is not capable of handling the quantity and size of files generated by the business. But choosing the right type and configuration of data cabling can be difficult and requires professional advice. Here we outline some of the factors and options we consider when carrying out business cable installation services. Ethernet Cable Wiring or Wireless? Many businesses wonder whether using a wireless network instead of a physical network of Ethernet cable wiring will simplify matters and avoid the need for network cabling installation. While wireless connectivity certainly has a role within an office environment it should not be seen as equivalent to a physical data network. In many businesses, employees will not simply be working on local files on their own PC or Mac, but will be accessing files on a shared (networked) computer, enabling collaborative team working and also for security and backup purposes. In this scenario, data transfer is happening almost continuously through the working day (as opposed to occasional file transfer when a job is complete, for instance) and so network speeds can have a dramatic impact on productivity. Wireless is prone to "drop outs" and interference, making it an unreliable option for business critical tasks and especially high volume data transfer. In addition, transfer speeds will tend to be much lower than using high speed Ethernet cables, which can be a serious problem for companies whose business involves frequent transfer of large files, such as high resolution layered graphics, video or audio. And a wireless network is obviously far less secure than a dedicated physical network. The main choice to be made is between Cat5, Cat5e, Cat6 and Cat6a network cabling installation. Cat5 cabling: Category 5 cabling has been superseded by Cat 5e cabling (see below) and is no longer recommended for business use as it is designed to handle speeds around 10-100 Megabits per second and it can also suffer from interference problems. Our cable installation services can include upgrading existing Cat5 cabling to Cat5e or Cat6. Cat5e cabling: Category 5e ("e" stands for enhanced) cabling is also termed "gig cabling" as it is designed to handle speeds of 1000 Mbps (or 1 Gbps). It also suffers from less "crosstalk" or interference, making it more reliable than Cat 5. Cat5e wiring will meet the needs of most standard businesses that require email, web and transfer of documents and perhaps small to medium graphics files. Cat6 cabling: Category 6 cabling is capable of speeds up to 10 Gigabits when used for shorter distances and would be the preferred choice for businesses requiring large file transfer on a regular basis such as film production companies or IT companies. Cat6a cabling: Category 6a ("a" stands for augmented) cabling offers the same network speed as Cat6 (up to 10 Gbps) but has improved data transfer characteristics, chiefly reduced interference and improved performance over longer distances. This is therefore a preferred choice for the high volume users already mentioned above but where cabling needs to be longer to accommodate building features, layout etc. Cat 6 cable installation (or Cat 6a) is also recommended for businesses whose current usage might indicate Cat 5e but want to futureproof their investment. Although Cat 6 / 6a cable is more expensive than Cat5e wiring, a large proportion of the price of installation will be labour costs – so it can save upgrade costs later to opt for Cat 6 or Cat 6a. To make the right decision we will take an in depth look at your current network usage (file sizes, volumes, frequency etc) to assess whether you need Cat 5e or Cat 6 / Cat 6a installation. We can also take into consideration any likely or planned changes to the company in terms of size and activity to ensure that your choice of cabling will suit you well into the future. A data cable network will need one or more data points set into the wall or floor to provide users with access to the network. Usually a single data point serves a single device, so there needs to be enough data points to serve the number of people/computers connected to each one. Also, longer cable lengths decrease performance, so it is important to ensuring a reasonable cable length between data points and workstations. To help you decide on the number and placement of data points our cable installation service will take into account the number of people and computers that need to be served (including any likely growth) and the office layout. As well as everyday workstations we can also factor in additional data points that may be needed elsewhere in the building, such as meeting rooms, demo areas, breakout spaces and so forth. Alternatively, it may be here that wireless connectivity can usefully augment the physical network when people are away from their main workstations. We can suggest and discuss the options with you helping you to understand how the network will be used in practice and the cost implications of different scenarios. 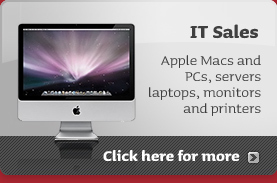 We provide a comprehensive range of IT solutions and services to London businesses, from PC and Apple Mac support, maintenance and integration, backup services, hosted email services, data recovery, computer network services and more. We are also highly familiar with the requirements of high volume data users in the media and creative industries. This means we are well placed to accurately assess your IT setup and provide you with network cabling installation that fully meets your needs. Network Cabling Installation – Contact us to find more about how our data network installation service can help your business.